Optical coherence tomography (OCT) is a noninvasive diagnostic technique providing cross-sectional imagines of biological structure based on differences in tissue optical properties. It was first reported by Fujimoto and colleagues in 1991. University of California at San Francisco (UCSF) is one of the world's leading centers of health sciences research, patient care, and education. UCSF's medical, pharmacy, dental, nursing, and graduate schools are among the top health science professional schools in the world. The UCSF Medical Center is consistently ranked among the top 10 hospitals in the United States by U.S. News & World Report. Some of UCSF's most renowned treatment centers include kidney and liver transplant, neurosurgery, neurology, oncology, ophthalmology, gene therapy, women's health, fetal surgery, pediatrics, and internal medicine. UCSF also has the nation's leading HIV/AIDS treatment and research centers. Collaborations with African Universities such as the University of Zimbabwe to deal with HIV have been established. 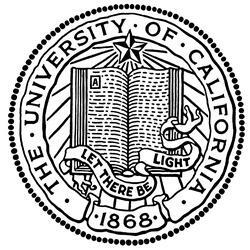 UCSF should not be confused with the Hastings College of the Law, a separate institution of the University of California which is also located in San Francisco.